Product prices and availability are accurate as of 2019-04-16 05:48:36 UTC and are subject to change. Any price and availability information displayed on http://www.amazon.com/ at the time of purchase will apply to the purchase of this product. Designed With Non-Directional Bristles For Unrestricted Flow. Allows Biological Maturing and Sloughing To Maximize Efficiency. Simple To Install. Easy To Clean. Installs In Any 6'' Pipe or Existing Baffle. Flexible Design Allows For Easy Installation and Maintenance. Provides well over 1/2 mile of filtration media with over 319 cu. in. of open area to eliminate clogging. The filters designed shape creates a debris separation space which naturally sorts debris according to size and mass, ensures even filter usage for a long lifespand and maximizes circular flow. 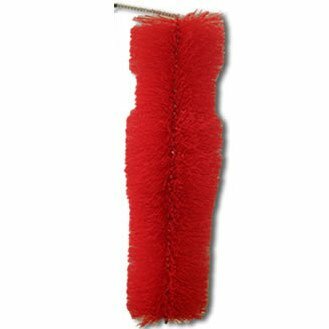 Self-locking bristles hold the filter firmly in place, eliminitatin "filter float up" Gravity Filters Flexibility Flexible enough for just about any application. Whether you need a filter for a Tee or for a square septic tank baffle. This flexibility extends to the service of the filter as well. As mentioned above, the tank does not need to be pumped down for servicing. The filter can be washed out and reused or you can choose to simply pull out and replace the filter with a new one (Plastic bags are supplied with the filter for disposal). Design The filter is composed of non directional polypropylene bristles that are would together with a stainless steel core. The contoured shape of the filter creates a debris separation space that naturally sorts debris according to size and mass. This space also ensures even filter usage for a long lifespan.